SAC President Megan Cain, SAC Advisor Julia Gramont, and SACer Valerie Brown at Mocktails. Student Alumni Council stayed busy hosting events throughout the year focusing on the student/alumni transition, SAC awareness, and campus traditions. Each event SACers set goals, developed plans, and executed with great success. 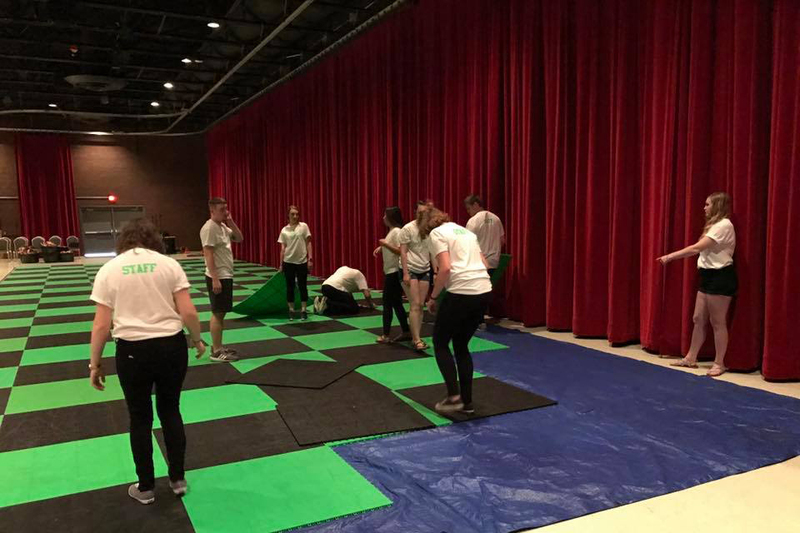 Members of SAC set up the floor for the fall Gloskate event. 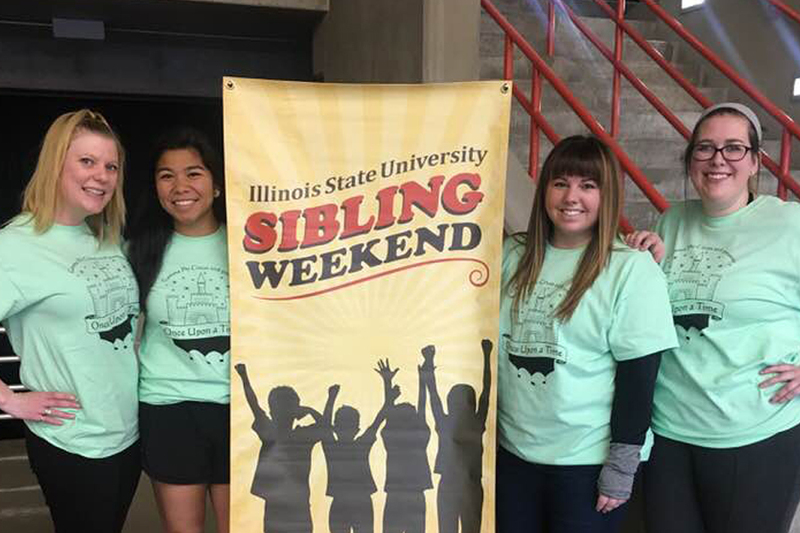 The Student Alumni Council was given the opportunity to host an event for any ISU student to attend. GloSkate was a fun, free event including roller skating, food, music, games and glow sticks. A roller skating rink, provided by Neon Entertainment, was set up on one half of the Brown Ballroom. On the other half were tables filled with free glow items. A nacho bar, chicken fingers, mini pretzel nuggets and drinks were provided for all in attendance. WZND, the student broadcast radio station, provided themed music and announcements for our raffle prize winners. A total of three attendees received a bag of 2017 Homecoming merchandise in our raffle drawing. Around the perimeter of the room, we asked a few student organizations to set up a table with promotional items for their club. Student representatives from Pride, Association of Latin American Students, Alternative Breaks and Colleges Against Cancers had the opportunity to recruit new members for their organizations. About 300 students were in attendance, along with our team of 15 volunteer staff members from SAC. This event was a great opportunity for our members to experience promoting and organizing a large event to ultimately achieve our goal attendance. 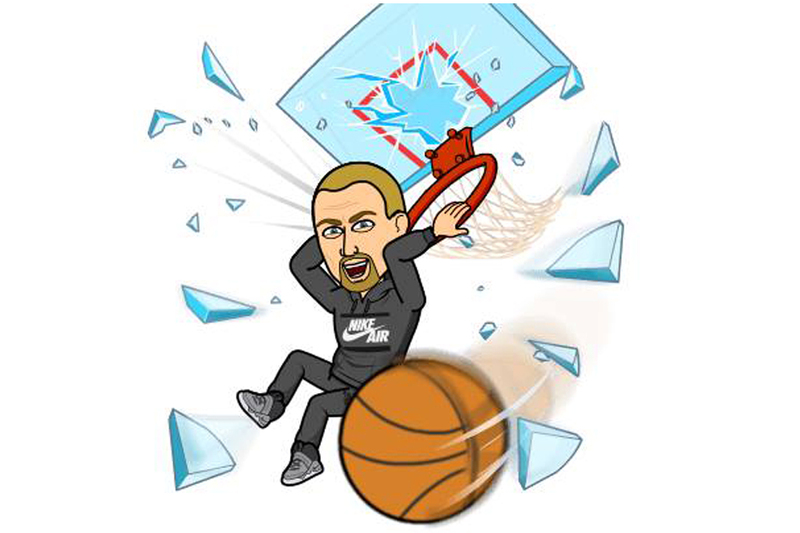 Coach Dan Muller’s Bitmoji used on senior night giveaway shirts. Senior night was an amazing night for the SACers! We wanted to give our seniors the best, last home men’s basketball game they could possibly get. 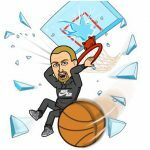 We designed a t-shirt with Coach Dan Muller’s Bitmoji as our centerpiece. A Bitmoji is a cartoon image of yourself that is used to interact with your very own Snapchat! We had a fun time setting up tables and recruiting many future seniors for our alumni engagement clubs. Each of the seniors that came to the game received their very own Dan Muller Bitmoji shirt along with a lot of other fun prizes after spinning the SAC wheel. They even got some fresh hot pizza! SACers and seniors were able to stay for the game and cheer on our fellow Redbird as they defeated Drake 89-81 at Redbird Arena. It was a great way to end the last home game of the season! The Student Alumni Council (SAC) teamed up with the School of Communication Promotions and Development team and the Association for Women in Communication (AWC) for Mocktail Hour: A Networking Event. The event was part of Com Week, the School of Communication’s annual tradition that provides professional perspectives within the field of communication. The Student Alumni Council aimed to create a free event within this tradition that could take advantage of the professional presence on campus. SAC and AWC sponsored a 45-minute panel featuring ISU alumni working in the recruitment and human resources professions discussing the importance of networking for professional development. The panel was followed by 30 minutes of guided roundtable discussions with alumni working in various fields. The event finished with open networking time for the students to make conversation with any alumni they could connect with professionally. Free headshots, appetizers and mocktails were provided to all guests. About 50 students and 20 alumni were in attendance. SAC hopes to continue our relationship with AWC and the SoC PD team to turn this into an annual event. 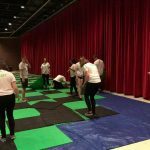 Student Alumni Council continued its long-standing tradition of hosting Siblings Carnival prior to the matinee performance of Gamma Phi Circus. We filled Redbird Arena with fun carnival games for over 350 kids including ring toss, basketball hoops, washers, bean bag toss, and rubber ducks. We also had stations where they could color circus-related coloring pages, receive crafted balloons by balloon artists, or get their face painted! Altogether we had 29 volunteers, ranging from Student Alumni Council advisors to SAC members to friends. We had a lot of families show up for our event, so much that we had a line forming outside of Redbird Arena! Student Alumni Council was so excited to host this event and see all the smiles on the kids’ faces. Stories written by members of Student Alumni Council.